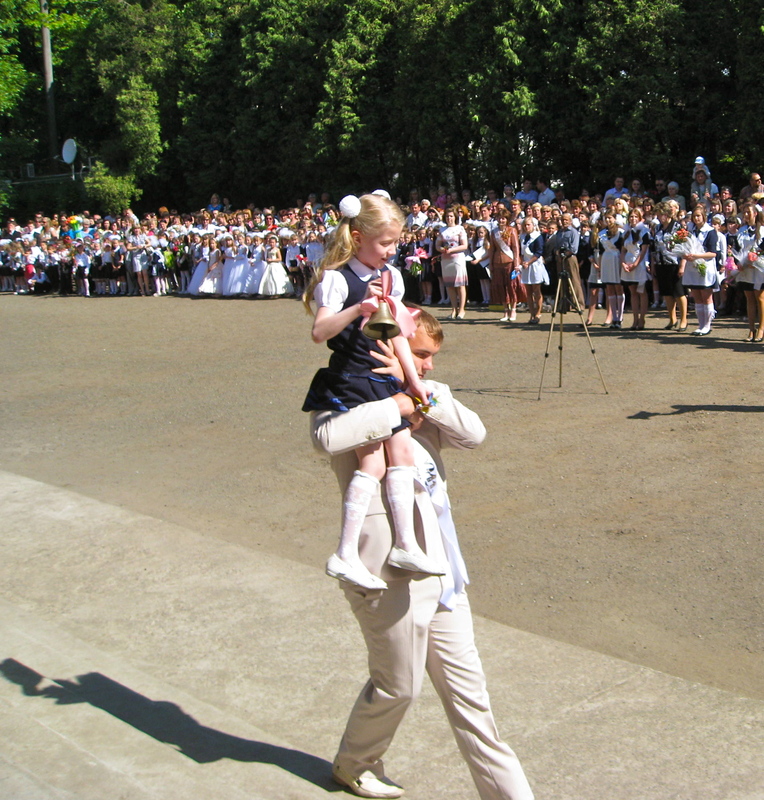 Ukrainian schools have a tradition at the end of May called Останий Дзвоник (“ostany dzvonyk”), or “Last Bell,” which happens on the morning after the last day of classes. It’s an hour-long ceremony to honor everyone – but especially the graduating 11th-formers – and officially close school for the year. 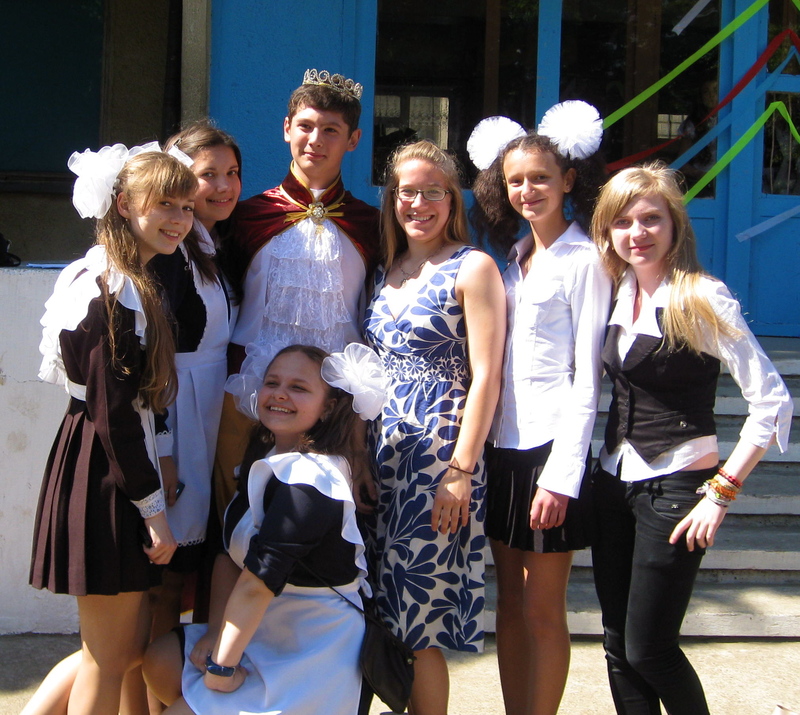 All the pupils dress up and assemble in order around the school yard. 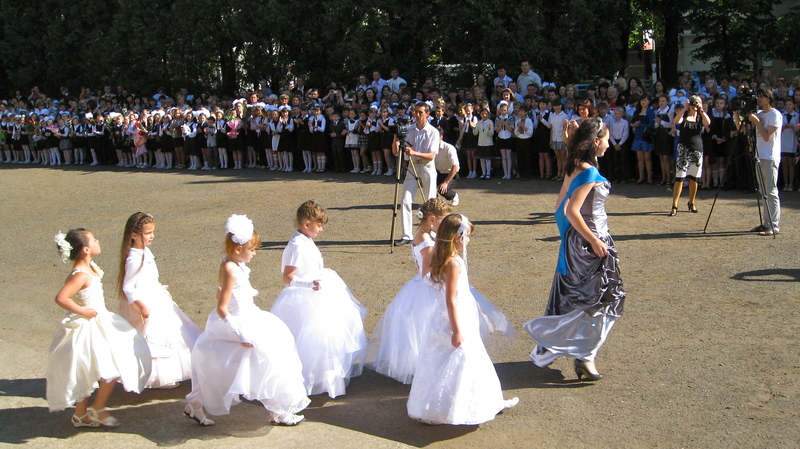 Then out marches the Queen of Knowledge – this year one of my 11th-formers, Dana – followed by her “ladies,” six of my adorable 2nd-formers in white dresses. They lead the rest of the 11th Form, which lines up in the middle of the yard. 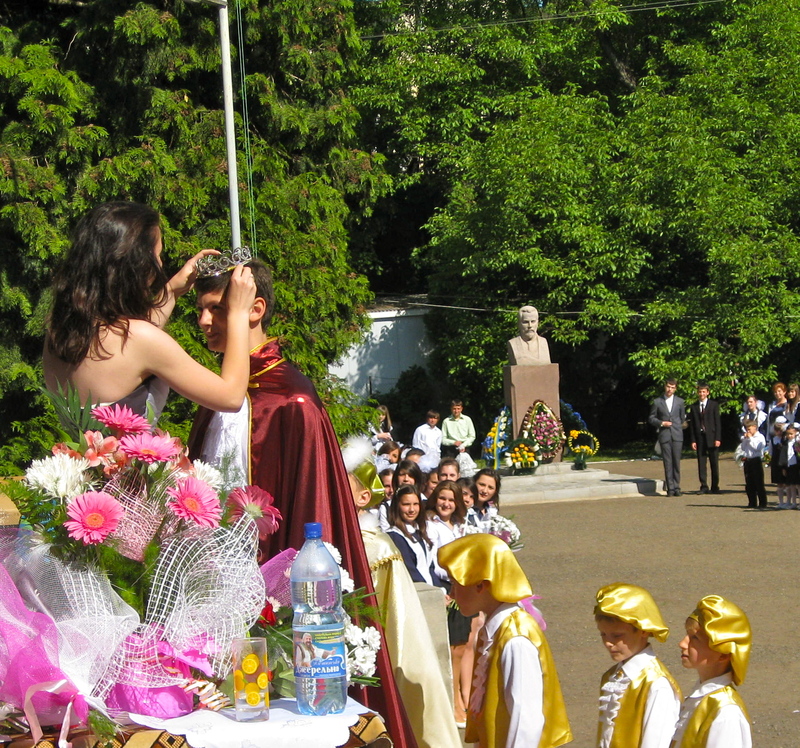 People – the priests, school director, town administration leaders – make short speeches. Then it’s time for Dana to pass her crown to another pupil; usually it’s a rising 11th-former, but this year’s 10th form is not strong so they were skipped and Dana passed her crown to Nazar, one of my 9th-formers, who became King of Knowledge. He was dressed to fit the part, with four little princes in tow. I felt a little like I was in a fairy tale. And finally, the last bell is rung by a 1st-former carried on the shoulders of an 11th-former. This reminded me a little of the “passing the banner” part of Harley (my high school) graduation. But wait! The last waltz must be danced. Each 11th-former chooses a teacher/administrator for a short dance. 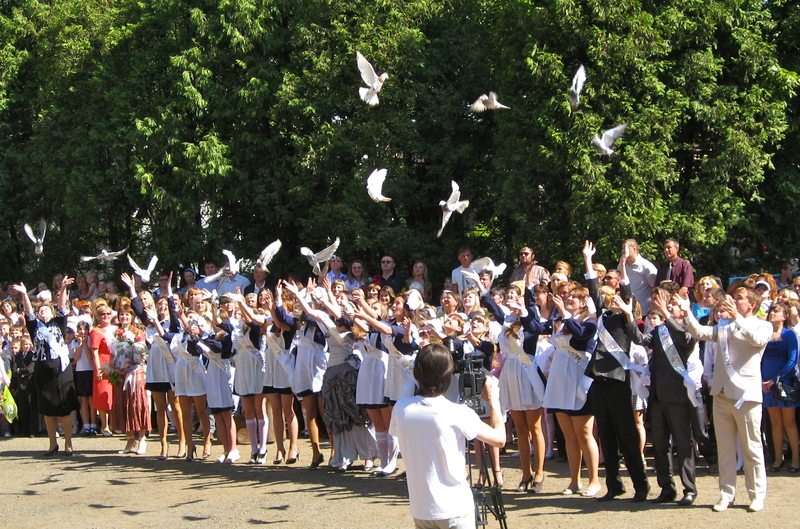 Lastly, each 11th-former releases a pigeon into the sky, to send off their school days. Beautiful. This entry was posted in celebrations/holidays, community, education, pictures, teaching on 27.05.2011 by taplatt. Hah! That ceremony is way more interesting than how we graduate. I want to dress up as a princess and release a pigeon and then waltz with my teachers. Jealous.